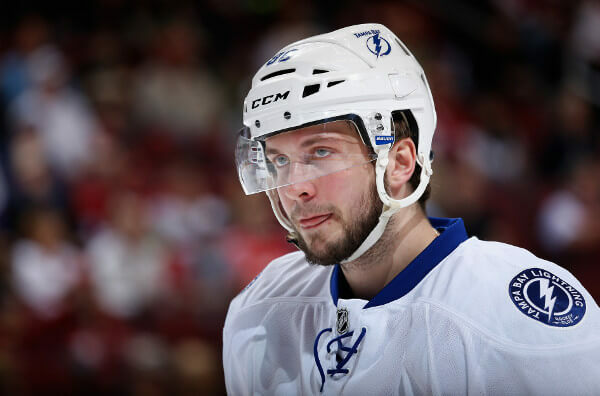 VIDEO: Nikita Kucherov – The Best of. Watch Video Below..
Nikita Igorevich Kucherov (born June 17, 1993) is a Russian professional ice hockey right winger currently playing for the Tampa Bay Lightning of the National Hockey League (NHL). Nikita Kucherov scored two goals, and Erik Condra and Brian Boyle each had one for Tampa Bay (13-11-3), which won its second straight game and can complete a perfect California road trip with a victory Sunday against the Los Angeles Kingsat Staples Center.